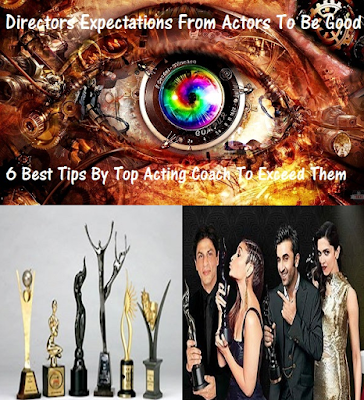 """ keywords'/> "" " 6 Best Tips To Exceed What Directors Want From Actors | Best Actor Academy-The Monster Of Free Acting Tips ""
How to be a convincing actor? These 6 incredible tips are based on my personal experience of 15 years as an acting coach, short filmmaker, and actor in addition to the expectations from actors expressed by leading directors during forum meetings. Have confidence in your own ideas and don’t be afraid to share them with your director. Don’t underestimate how much of acting is nonverbal (without dialog). Trust in your director, be ready to work, and be willing to play. Training, a regular update, and practice are extremely important. Don’t economize by using less time, money, or material on something that is necessary on your training. Remember, while in front of a camera, there’s a certain emotional immediacy (An instant involvement) and veracity ( A truthfulness, accuracy, and realism), an attribute of really good actors that is evident from the beginning. The moment a good actor walks in a director and viewers can really tell if they’re emotionally present or not, or if they’re putting on an act.... The capacity to really act. it’s as per one of the world’s top acting coach Sandy Meisner: genuine emotion in imaginary circumstances. Join us to learn to be one!